Mattia Antonio Acito (b. Matera, 16 June 1957) graduated in architecture from the University of Florence on 14 April 1983. He works in the following areas: renewal of urban spaces, restoration, interior renovation and architecture, temporary exhibits and events. He belongs to a generation that has been active in the renewal of the Sassi, the ancient heart of Matera and a world heritage site. He was commissioned by the city council to refurbish the city's central piazzas, a particularly complex task in view of the coexistence of the modern city with the remains and strata of the ancient one, which came to light during work to refurbish Piazza Vittorio Veneto. He has undertaken many restoration projects in the Sassi, including the one for the functional renewal of the Casa del Pellegrino delle Monacelle, followed by the preliminary feasibility study for the Museo dell'Habitat Rupestre, a study for the renewal of a section of the Sassi to be devoted to a centre that will interpret the rocky area and provide a documentation and archive facility for Matera. 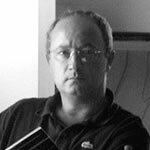 His urban renewal projects include the Piano dei Lidi and the valorization of the seafront at Scanzano Jonico, which has become a synthesis of the language of architecture and that of the natural Mediterranean environment. His style is bold and clearly recognizable, irrespective of the scale and importance of the work. This can also be seen in his interiors and temporary exhibits, which also reveal his great attention to detail combined with the creativity and originality that have always distinguished his work. It is no accident that he was invited to design the set of the Sassi di Matera for the carnival and the stands for the public for the visit to the city by Pope John Paul II. He contributes actively to the twinning of Matera and Havana on a project to renew historic city centres. In recent years the project to reuse the Cava della Palomba quarry at Matera and the executive design and direction of works for the Felifonte theme park at Castellaneta Marina (Taranto) were the occasion for founding Studio Acito and Partners together with Alberto Giordano. Alberto Giordano (b. Genoa, 30 September 1945) started his career in journalism in 1968, first in the Rome offices of the Naples-based Mattino newspaper and then at Giornale Radio, where he became the chief editor of the economics and trade union office and a special reporter. 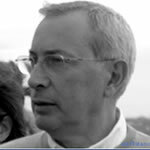 He moved to the press office of FIAT in 1979, becoming Deputy Press Officer in 1981 with responsibility for the Italian press. In 1983 he was appointed Director of Institutional Relations for the FIAT group. In 1989, as President and CEO of Lingotto (a company owned jointly by FIAT, the Turin City Council, Toro Assicurazioni and INA), he oversaw the renovation of the historic FIAT plant and its transformation into a multipurpose complex housing a trade and conference centre, a hotel, offices and a shopping centre. In 1993 he became President of the Renzo Piano Building Workshop. In this position he worked on the project for the Beyeler Foundation museum in Basle; the church dedicated to Padre Pio at S. Giovanni Rotondo; the Banca Popolare di Lodi; the redevelopment of the Postdamer Platz in Berlin; and the auditorium in Rome. Since 1998 he has been working as a freelance consultant on cultural and urban renewal projects. Born on May 12th 1963, she attended the Liceo Scientifico high school in Matera and finished her studies in 1982. 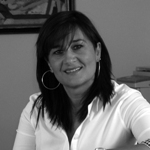 From 1984 to 1987 she worked for the publishing house "Gruppo Editoriale Fabbri" as the responsible for Matera's agency. From 1988 she has been working for Mattia Antonio Acito's Studio as company secretary.